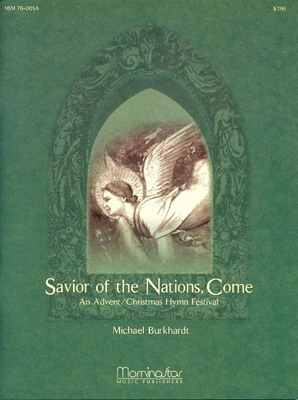 A complete hymn festival featuring Michael Burkhardt's arrangements for choir, organ improvisations and accompaniments, with readings taken from the writings of Dietrich Bonhoeffer. 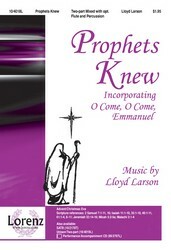 The choral parts are accessible and the congregational hymns are delightful. 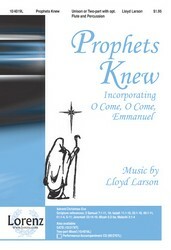 The compact disc was recorded live at the Westwood Lutheran Church in Minneapolis, Minnesota. There are optional parts for children's choir, handbells, and brass quartet to help involve multiple choirs. 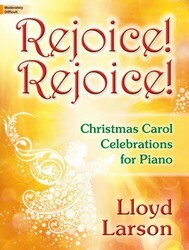 The choral score includes all organ improvisations and accompaniments. 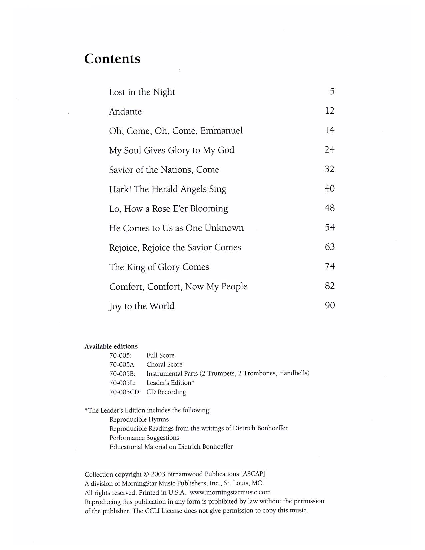 A special leader's edition includes reproducible readings and hymns, as well as educational material about Dietrich Bonhoeffer for use with the congregation. 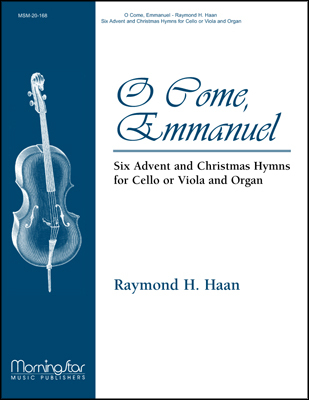 Includes settings on the tunes: Lost in the Night, Veni Emmanuel, Consolation/ Morning Song, Nun Komm, Der Heiden Heiland, Mendelssohn, Es Ist Ein Rose, Repton, St. Martin's, King of Glory, Freu Dich Sehr/Psalm 42/Genevan 42, and Antioch. Text Who is the King of glory, what shall we call him?